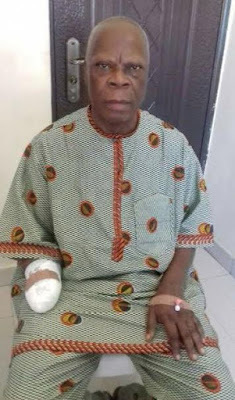 Dr Idongesit Udom, a retired staff of ExxonMobil and the Proprietor of Sure Foundation Polytechnic, was kidnapped alongside two expatriates of the oil company from a hotel room in Eket on April 9th. To God be the glory! I am alive through the extended mercy, pardon and love of our Lord Jesus Christ. He has forgiven my sins and has answered the prayers of all the Christians, Moslems in Nigeria, Cameroon, United Kingdom, United States, the World Over who prayed for 32 days of my captivity. . May the good Lord bless you all abundantly in Jesus name, Amen. May the good Lord bless the Governor of Akwa Ibom State and members of his executive Council, the presidency, the good people of Ukanafun LGA, My family and all the security agencies that had done everything possible to ensure my safe release. Though I was released with my right hand cut off, I am eternally grateful to my God for the new life. My life was over. 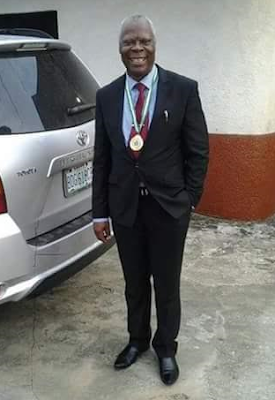 Thanks to the government of Akwa Ibom State, all the pastors, ExxonMobil friends, all other FRIENDS and relatives who have provided for my hospital requirements. Elder Dr Idongesit Demas Udom..